From a whisper-soft lace scarf and a shimmering metallic topper to an Inca-inspired treasure and a striking garter-stitch triangle design, each quick project in this well-rounded collection is small enough to slip into your bag and requires minimal investment of time and materials. Adding a touch of whimsy to any ensemble, scarves are seasonless treasures that can make the ultimate fashion statement. With patterns ranging from beginner to advanced, On the Go! 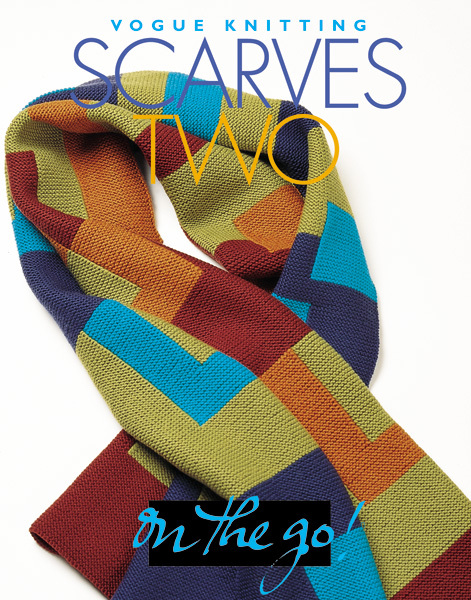 Scarves Two is packed with more than twenty portable projects for knitters on the go. With patterns ranging from beginner to advanced incorporating cables, colorwork, or fine lace, fashioning a scarf for a family member or friend can open up endless design possibilities.